I am an artist passionate about crafting immersive and memorable experiences, telling stories, and building worlds through visual media. I have previously had the privilege of working on many beloved titles including: Kingdom Hearts, Prince of Persia: The Sands of Time, Dungeons & Dragons, Magic The Gathering, Tom Raider, Indiana Jones, Scalebound, Crimson Skies, and many other fantastic properties. I work in traditional and contemporary mediums, from pencil, oil and acrylic, to Photoshop, Maya, Z-Brush, Unity, and Unreal. Not to mention the proprietary tools to accent and improve workflows. I am classically trained in form, space, scale, and composition; I love bringing this expertise to new projects. 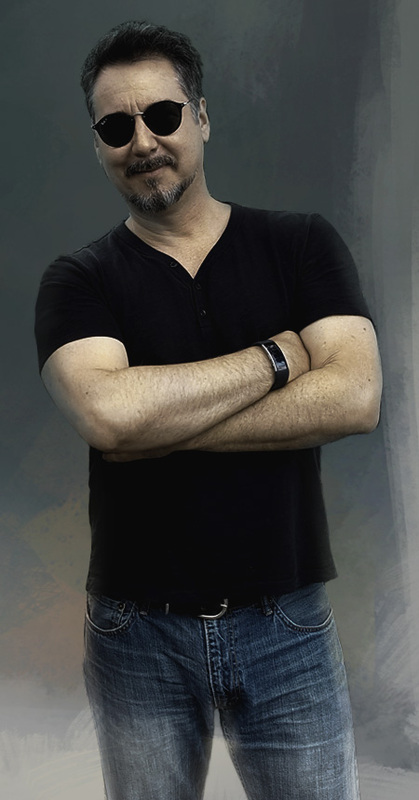 My true passion is telling interactive stories, and I’ve had the honor of working with established Brands to envision new Intellectual Properties adding to the success of Microsoft, Vivendi Universal, Sony, Disney, Wizards of the Coast, Capcom, Square Enix, Platinum Games and Indie Publishers. I’ve recently begun sharing my artistic processes for crafting Concept Art with the online community. Join me to share, learn and laugh.